Back in 2000, when Russell Crowe was at his most marketable, he co-starred with Meg Ryan in an action-drama called Proof of Life. It was a fairly straightforward movie, but the premise was relatively unique. Meg’s husband (David Morse) was kidnapped by terrorists, who demanded a monstrous ransom for his release. Crowe played a negotiator (who happened to be a former member of the Special Air Service) who eventually goes in and gets her husband out. The movie was quickly forgotten (aside from being the movie that caused Meg and Dennis Quaid to divorce after she had an affair with Crowe), but the subject of hostage negotiation remains a pertinent one. On the other hand, Viper Club, which releases November 2, tries to be a more realistic scenario in which a loved one (in this case, the protagonist’s son) is kidnapped, except in this case, there isn’t a handsome elite soldier ready to step in and go all Commando. Produced by Youtube Premium, it’s an interesting study of what a parent should do, because the protagonist isn’t anyone special; she’s just a mom stuck in a dire situation. In a move that’s perhaps meant to show just how ordinary she is, roughly half the movie is set in the hospital at which Helen (Susan Sarandon) works as an ER nurse. Trying her best to care for patients and triage in emergencies, she’s carrying a heavy burden that she tries not to show to her colleagues. She’s a good nurse, very able at what she does in a familiar environment; like most people, however, when her journalist son, Andy (Julian Morris) is kidnapped and held hostage in Syria, a situation in which she has no control, she’s lost, looking for someone who might know the way. In steps the eponymous Viper Club, an underground network of people who work to bring home hostages in this very situation. Charlotte (Edie Falco) is the face of the Viper Club whose own son was kidnapped and successfully brought home alive, meets with Helen and discusses the next steps. It’s here that we really start to get the sense of helplessness that parents in this situation might feel. Charlotte urges her to go public, make the kidnapping known, while the FBI, with whom Helen met earlier, urges discretion and to keep everything private so they can follow official procedures. 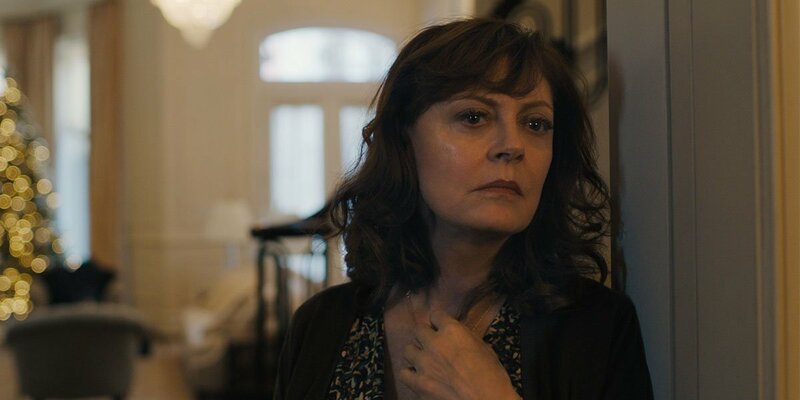 It’s an impossible situation to be in, and Sarandon plays it incredibly well. Easily one of her best roles in recent memory, she carries the film on her back, although this is mostly out of necessity; none of the other characters really get fleshed out. Falco and crew do their best with what they’re given, but this is Sarandon’s world, and they’re just along for the ride. As the film cuts back and forth between her work life and personal life, we get flashbacks of her time with Andy, be it as a child and as an adult. We’re also given a few shots of her set in the present, with her carrying on imaginary conversations with Andy, as if he were there. These moments add some background and connection to the current situation, but it’s not really enough to parlay into a strong emotional bond to any of the characters. 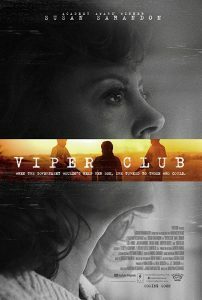 It’s a touchy subject, and at times there are some fantastic scenes and interaction (Sarandon and Falco, in particular, have some great chemistry on screen), but overall, Viper Club just isn’t as engaging as it could have been. I won’t mention anything about the ending, but I will at least give credit where it’s due; it’s not what I expected, and I laud the crew for it.